We grew up in Flagstaff and have young kids of our own. 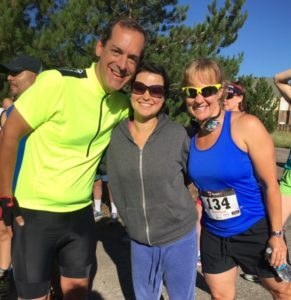 We want to share the fun and rewards of multisport and endurance events with our family and community. 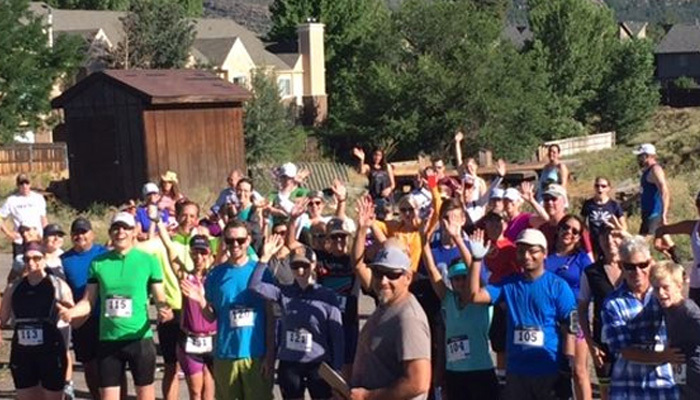 In an effort to support and grow the multisport community in Flagstaff and beyond, Mountain Man Events, LLC helps to promote and support this event put on by Ken Kotalik at the Flagstaff Athletic Club. This is a great family friendly event with a pool swim, kids and adult triathlon, and a duathlon. The running and biking are on scenic trails in Flagstaff, AZ. If you are looking to participate in your first triathlon, want to throw something new into your racing schedule, or are just looking for a low pressure local event, then this is the place to be. The triathlon is completed in reverse order (run, bike, swim) . All athletes receive Swag Bag, and Goodies. Please register early as this race is limited to 200 athletes. Ages: The kids triathlon is open to ages 6-11. 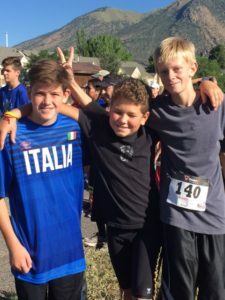 The triathlon and duathlon are open to ages 12 and up. 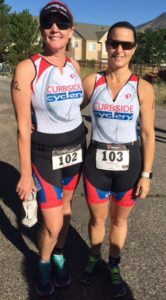 All triathletes must provide their own bike and wear a helmet during the bike portion of the event. Teams are welcome and encouraged – bring the whole family! RUN: This beautiful mountain run is on dirt roads and trails. The run is an out and back. 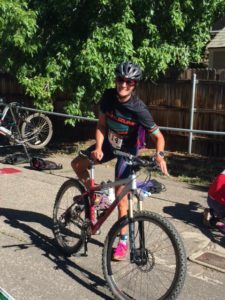 Walk your bike through transition area. BIKE: The mountain bike course is on dirt roads and trails with picturesque views of Flagstaff, Mt. Elden, and the San Francisco Peaks. The bike is an out and back (12K total). Helmets required on the Bike. 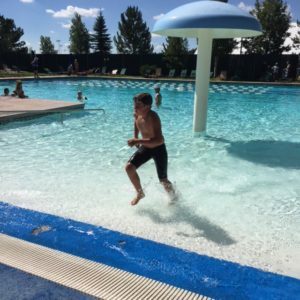 POOL SWIM (25 yard outdoor pool): The last event of the race, the swim, will take place in the “pool in the pines” at Flagstaff Athletic Club East. The Pool is a 25 yard – 6 lane lap pool with a gradual shallow beach exit. The swim will begin at the South end of the pool and athletes will swim one length (25 yards) in each lane for all 6 lanes (150 yards). At the end of each lane, athletes will swim under the lane line, into the next lane. Athletes will exit via beach exit and repeat this process again for another 150 yards – (total distance 300 yards). Then athletes will exit at the beach exit on the North end of the pool and run up the grass to the finish line/electronic timing pads. No Diving as you enter water – jump in – feet first. This event also honors the memory of Flagstaff beloved Triathlete and Flagstaff Athletic Club Masters Swim Coach – Robert Tucker – 1950-2007.